The origin, evolution, and distribution of life in the Universe can be better addressed by understanding the limits of life on Earth. A broad range of physical and chemical constraints for limits of life, such as temperature, pressure, pH, salinity, physical space, water content, and availability of energy and nutrients, have been explored in many environments of the Earth that potentially host certain boundaries between the habitable and the uninhabitable terrains. 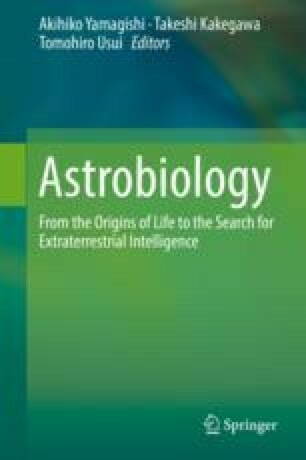 In this chapter, the presently known limits of life are described, and the possible environments and their physical and chemical characteristics that could signify the limits of life and biosphere on the Earth are reviewed. Although the nature and distribution of fringe biospheres that face the boundaries are highly unknown, numerous geomicrobiological explorations have demonstrated the limits of biosphere realistically occur in the subsurface environments and are controlled by certain boundary conditions. Energetic aspects of boundary conditions are quite important and are discussed based on the theoretical estimations and field observations of earthly life and biosphere.